Preheat oven to 200°C (400°F). Heat half the oil in a large frying pan over medium heat. Add the fennel, garlic and leek and cook for 6–8 minutes or until softened. Place the breadcrumbs and milk in a large bowl and set aside for 5 minutes to soften. Add the pork mince, veal mince, marjoram, salt, pepper and fennel mixture, and mix well to combine. 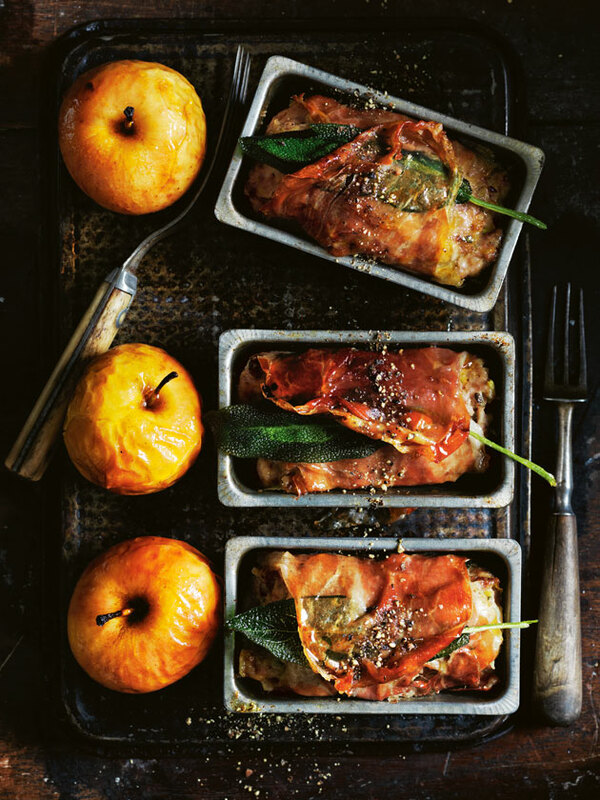 Lightly grease 6 x 5cm x 9cm ¾-cup-capacity (180ml) mini loaf tins and line each with 2 slices prosciutto. Divide the mince mixture between the tins. Fold over the prosciutto, tucking a sage leaf under the prosciutto. Brush with 1 tablespoon of the maple syrup, place on a large oven tray and cook for 10 minutes. Place the apples on a separate tray and brush with the remaining maple syrup and remaining oil. Cook for a further 10–15 minutes or until apples are tender and meatloaves are golden and cooked through. Set aside to rest for 10 minutes before serving. Sprinkle with pepper to serve. Serves 6.